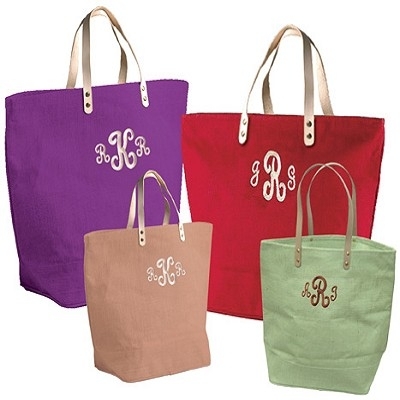 These large sized bags look beautiful with a monogram! Made of durable jute with leather straps and a zip closure. Makes a great bride, bridesmaid, graduation or girlfriend gift! Also perfect for work, school, the lake or the beach. Measures 20" x 16". Monogram included.